The Lord took away signt from Andrea Bocelli, but He gave him the voice of an angel. Listen to him sing Nessum Dorme. Hint: Turn up the volume. All across America, various environmental organizations have been engaged in schemes to deter development such as housing, new energy plants, or the horror of a manufacturing facility that might actually employ people. In some states, the attack has been on farms and ranches, finding ways to punish their owners for improving their land in any fashion such as digging a drainage ditch. As far as environmentalists are concerned, private property rights are an impediment to the “protection” of what they always describe as “pristine” forests, deserts, or some horrid wilderness such as the Alaskan National Wildlife Reserve. ANWR is unfit for human habitation, but it does have countless thousands of caribou and several billion barrels of untapped oil beneath a “pristine” surface. In a small State like New Jersey, land and its proper use has been a major concern from its earliest years. The State got its moniker, “the Garden State”, from the many farms in its southern half, although there are some in the north. One can drive up Route 78 through the northern portion and see horse farms and even cattle being raised. Beyond its urban centers, there are large, verdant areas in which one can find small, picturesque suburbs and one of those areas is known as the Highlands. It is a 1,400- square-mile region, some 860,000 acres, extending from the northern border with New York and including land in Sussex, Warren, Passaic, Morris, and Hunterdon Counties. The Highlands Water Protection and Planning Act was enacted in 2004 and signed into law by former Governor James McGreevey whose lamentable and mercifully abbreviated term in office was cut short when, in the wake of a scandal concerning a young man whom he had put on the state payroll, he announced he was a homosexual and resigned. The area in question is a watershed and the environmental claim was that any further construction or use of it posed a threat to water quality and that the area, home to abundant wildlife, needed to be subject to all manner of regulation and restrictions to protect it against the humans who had been living there since before the Revolution. There never was a need for the Highlands Act. Existing environmental laws were and are sufficient, but the objective was to render the huge tract of land beyond any development, to reduce the value of its homes and other structures, and generally put it off limits. This kind of green gangsterism is part of the reason why, along with high taxation, and senseless spending, more people leave New Jersey than move here. In 2007, northern New Jersey farmers and landowners affected by the Highlands Act made plans to contest it in court to protect their loss of equity and private property rights. Consider if you owned a home in this vast region and wanted to sell it. Who would buy it knowing that you could not add a porch, a swimming pool, or even some swings for kids to play on? If you were a farmer almost any normal act of tillage or harvest could be ruled a danger to the environment. It has taken six years of suffering by the many landowners of the affected area and frustration among the many local officials in towns affected by this hideous land grab to finally reach a point where something might begin to be done to repeal the act and return the legislatively stolen property rights. All around America, similar actions have been occurring, spurred on by various environmental groups, and all intended to drive out farmers and ranchers, to kill any development of any kind, and to abrogate the Constitutional protection of private property in every way possible. 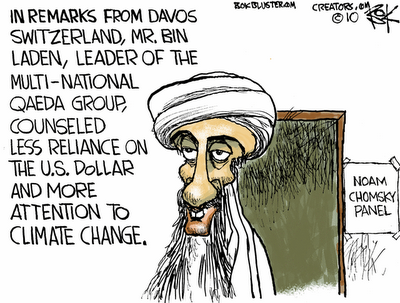 To the world’s experts on climate change, let us now add the name of Osama bin Laden to those of Al Gore; UN Secretary General Ban ki-Moon; the Chairman of the UN’s Intergovernmental Panel on Climate Change, Rajendra Pachauri; numerous heads of state over the years; House Speaker Nancy Pelosi; members of Congress still trying to pass Cap-and-Trade legislation; and the odious IPCC scientists who apparently colluded to foist false data on the public in order to further the fraud of global warming. This is, of course, a short list given the vast number of people who attended the recent UN Conference on Climate Change in Copenhagen. It reportedly cost the taxpayers over a million dollars for the U.S. delegation and that does not include the cost of the President’s attendance. In his State of the Union speech, Obama received a chorus of laughter when he spoke of the “overwhelming evidence” of climate change. Bin Laden is getting increasingly desperate in his appeals to the world’s Muslims and, in a recent audiotape, “he blamed the Western industrialized nations for hunger, desertification, and floods across the globe,” according to a report by the Associated Press. Bin Laden’s real complaint, however, has always been that he cannot replace the Saudi royal family and control that nation’s oil and the revenues that flow from it. One of the many sons of a prominent Saudi family, bin Laden went off to aid the Afghans in their fight against the Soviet Union and, ironically, it was covert American weapons aid that made their victory possible. He could have settled for being a hero of that conflict, but like so many egomaniacs, he decided to fight the crusades over again and all subsequent Western influence in the Middle East in the name of Islam. A succession of terrorist attacks flowed from that decision. U.S. embassies in Africa were bombed, an American warship was attacked in Yemen, and the most spectacular attack was, of course, the attacks on the Twin Towers in New York and the Pentagon in Washington, D.C. A fourth plane was brought down by its passengers. Americans seem to have forgotten that George W. Bush responded forcefully to 9/11 and to the threat of Saddam Hussein to the entire Middle East. This is in contrast to President Obama’s futile efforts to get the Iranian ayatollahs to cooperate. Dictators are not famous for being nice. As the AP report noted, bin Laden has mentioned climate change and global warming in past messages, but his latest on January 29 was the first to focus on it as a major theme along with the need to destroy the American economy. With regard to the latter, he seems to be getting a lot of help from President Obama who has tripled U.S. debt during the past year. The significance of his latest audiotape seems to be a belated effort to piggyback the global warming issue at the same time it is crashing and burning worldwide due to revelations that the data on which it was based was deliberately falsified. Claims that Himalayan glaciers were melting were false and this was made known to the IPCC Chairman Pachauri two months before the Copenhagen conference, but he managed to wait until after the conference to publicly correct the IPCC report. Bin Laden’s bad timing suggests that his campaign is losing support. It is almost comical that he would try to enlist the support of global warming diehards in his quest to overthrow the Great Satan, America, and the Little Satan, Israel, but there is nothing comical about his continued threat to the nation and the world. The silence of Al Gore as the planet has cooled since 1998 suggests that even he knows that his self-enrichment plan is coming to an end. Only President Obama seems or pretends to be oblivious to the idiocy of cutting “greenhouse gas emissions” in the name of a planet that is not warming. In this quest, Obama has now been joined by Osama. We're just along for the ride! We are back to the Obama administration’s original theory of governance, “All Obama, all the time.” Having basked on the spotlight during his rather long State of the Union Speech, Obama addressed the Baltimore conference of Republican members of Congress with yet another familiar excuse, it’s all George W. Bush’s fault. In one year in office he has learned nothing or, if he has, the lessons have been dismissed as irrelevant to his mission of “transforming” a nation that is far more focused on just surviving the worst Recession/Depression since the 1930s. 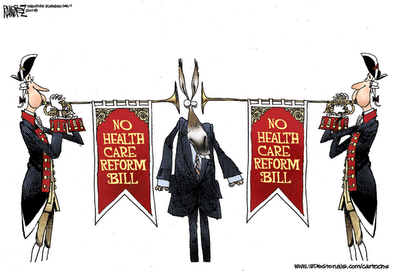 Obama seems mystified that, with the greatest majority in Congress in decades, he is unable to get Democrats to coalesce behind his major initiatives such as healthcare “reform.” Republicans wisely decided to avoid being a part of this debacle and have since been labeled “the Party of no.” Sometimes, the right answer is no. The power of the American electorate was seen most recently in Massachusetts, in Virginia, and in New Jersey. It will be seen again in November. Around the world, America is watched closely and what happens here is news everywhere else. This is particularly true in the Middle East when America, following 9/11, invaded Afghanistan to drive out the Taliban and al Qaeda, and then invaded Iraq to remove a regional destabilizing figure, Saddam Hussein. And, of course, America has long been an ally of Israel through several wars perpetrated against it by Arab nations and, lately, the Iranian proxies, Hezbollah and Hamas. Writing in The Jordan Times, Hasan Abu Nimah took a look at “The Arabs and Obama after a year.” The Arab fixation on the “Arab-Israeli conflict” remains the obstacle to any rational resolution; it is now past sixty years since Israel became a reconstituted sovereign nation and, with the exception of Jordan and Egypt, none of the 22 Arab states with their 360 million people, have been willing to accept that fact. Nimah bluntly said that “Until the Arabs take control of their own destiny, they will continue to wait and hope in vain that rescue will come, if not from Obama’s promises, then from someone else’s.” None of them want that someone else to be Osama bin Ladin. The answer, of course, is to recognize Israel’s right to exist and to seek peace with it. That is not likely to happen. Nimah wrote, “The Arabs expected that with Obama in office they would see the beginning of the end of the occupation of their land.” Israel is not an occupier. Its claim to the Holy Land predates both Christianity and Islam by thousands of years. Georgiy Bovt, writing in Izvestia, the Russian newspaper, also took a look at Obama’s first year. Suffice it to say he tore into the young President, along with the “reset” message he tried to send Russia and the rest of the world. Bovt said, “While Obama practiced conciliatory gestures, the camps of al Qaeda prepared and continues to prepare for future attacks.” He ripped the political correctness that leaves America vulnerable. “How many more of these ‘resets' will this pillar of modern political correctness be able to withstand, with the assertion that terrorism has no nationality, nor religious affiliation?” asked Bovt. Good question! Reading from the newspapers around the world, the message is the same, a distinct sense of disappointment and apprehension regarding Obama’s first year. They are not alone. If the polls are any indication—and they are—approval of Obama’s performance in office is dropping rapidly. All Obama, all the time is not the answer. It is the problem. It's not a good thing when the members of Congress laugh at you, right? The line from the State of the Union speech that got the biggest laugh was about "the overwelming evidence of climate change." Stick a fork in global warming, it's finished. It is the duty of being a “pundit” to have an opinion on the events of the day and, of course, everyone has an opinion about President Obama’s State of the Union speech. My most distinct impression while listening to it was that I had heard it all before. It was a repeat of Obama’s 2008 campaign and a repeat of the past year’s failure to gain support for healthcare “reform” and the stalled “Cap-and-Tax” bill. It was a siren call to his fellow Democrats in Congress to continue supporting policies that will surely get them thrown out of office in October. Some sage said that repeating the same thing over and over again, and expecting different results is a definition of insanity. I am no psychiatrist, but the narcissism that so defines Obama was on display. I kept count and he said “I” or some version of it at least 100 times in the course of the speech. He used the word “we” a lot, but that was a rhetorical “we”, not the one where we all pull together. And we shall surely all pull together in November when we pull the lever in the voting machine for any candidate not on the Democrat Party line. If you recall, during the campaign Obama promised that, if elected, the seas would begin to recede. One of the more absurd claims of global warming was the massive melting of the North and South Poles, thus causing the oceans of the world to rise and swamp the coastlines of nations. You may also recall that the President went to the Copenhagen UN Conference on Climate Change that happily resulted in nothing at all. This was a good outcome and it occurred in the wake of the release of emails between a handful of rogue climate scientists who had labored for years to distort the actual data on climate in order to further the vast global warming hoax. The President actually said there was “overwhelming evidence” of climate change. No, but there is growing evidence that Al Gore and everyone else who said that global warming was occurring was lying or seriously misinformed. How the President of the United States could continue to assert that global warming was or is real is beyond any rational explanation. The President also repeated the falsehood that “investment”, i.e., taxpayer subsidies and “stimulus” cash, in “green jobs” and “clean energy” was the way out of the nation’s current economic difficulties. This is so absurd as to constitute willful deception. About the only thing that made any sense was his passing reference to the need for more nuclear plants to generate electricity for the nation’s growing population and the need to open up exploration of the nation’s offshore reserves of oil and natural gas. The Institute for Energy Research projects that developing oil and gas reserves has the potential to create 1.2 million jobs and provide an additional $70 billion in annual wages. Everywhere around the world, nations are cutting back on their investments in wind and solar power. It is inefficient and impractical. In a nation that has several hundred years of coal reserves, it makes sense to build some more coal-fired plants as well, given the fact that coal provides fifty percent of all the electricity we use daily. Beyond the environmental and energy issues the President touched upon, his favorite theme was an attack on the nation’s banking and insurance industries. This no doubt derives from his Marxist outlook that sees any form of capitalism as wrong. Finally, in an administration overflowing with former and future lobbyists, the hypocrisy of blaming them for the failure of a Congress that for decades has been mostly controlled by the Democrat Party is yet another absurdity. Lobbyists have been part of the nation’s political structure almost from the first session of Congress in 1789. In sum, President Obama has learned virtually nothing from his first year in office. He will not be a “great one term President”, but he will be a one-term President in 2012. After the State of the Union speech and the instant analyses on television and the punditry that follows on newspaper’s editorial pages and, of course, on news/opinion websites and countless blogs and forums, the tendency is likely to dwell on how it portends more of the same bad policies. It is obvious to the “experts” and to the general population that this President and Congress has burdened the nation with an insane amount of debt, something in the area of $45,000 for every man, woman and child. Babies born today will arrive with that burden. That’s not what American’s voted for in 2008. That’s not what they wanted or expected in 2009. That, however, is what they got and what they will continue to get in the contemptuous nonsense that pours forth out of the White House like an infected wound. However, the triage of the American economy and future began in Virginia, in New Jersey, and in Massachusetts. The next bailouts you will read about between now and next November will be Democrat members of Congress announcing they will not run again. An excellent analysis of the current and future demographics of the United States appears in an issue of World Affairs. It is titled, “Undying Creed: The Acceleration of Our Exceptionalism”, written by Joel Kotkin, a scholar at the New America Foundation. Americans work hard. Harder, in fact, than most other nations and the reason is that we believe that hard work will lead to a better life, not one on the dole from the government. We attract skilled labor from nations that don’t offer as much opportunity as we do. And, while our population is expected to add at least 100 million people by 2050, it will not consist of a largely aging population in places like Europe and the Far East that will outnumber its more productive members. Even our older people will continue to work well beyond “retirement” age and are likely to become a rich source of volunteerism. By contrast, China’s one-child policy will, by 2050, leave it with a rapidly aging population. Russia is already on the precipice of both a diminishing and aging population. Japan, too, has an aging population and no real diversity. Then, too, Americans like raising children, have a strong, commonly shared moral code, and religious values. According to a recent Pew Global Attitudes survey, about sixty percent of Americans think religion is “very important.” A Marxist will never understand this. While we just avoided a total financial meltdown (largely by infusing billions into several banking institutions---eagerly paying it back) the real beneficiaries have been the many local banks that avoided the high risk loans and other investments. All across America they are having the assets of failed banks transferred to their administration as the government steps in to avoid the horrors that befell Americans in the 1930s. This also accounts in part for the slowdown in credit and loans by both large and smaller banks as they get themselves back to normal, prudent banking standards. Contrast the Recession’s impact with Japan whose “rate of decline in Gross National Product was three times that of the U.S., while Germany and Britain contracted by twice as much.” America’s economy is simply more resilient. We have lost a great number of jobs, but they will return more swiftly than in other nations. If, of course, the government gets out of the way! 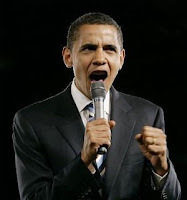 By the time 2010 ends, President Obama will have been politically neutered. Power will shift to a chastened Republican Party whose new leaders will renew the fundamental principles of conservatism and redirect national priorities from the ideologies of liberalism to a pragmatic determination to meet our present and future needs. John Quincy Adams said, “Courage and perseverance have a magical talisman, before which difficulties disappear and obstacles vanish into air.” We have seen courage in the town hall meetings, in the Tea Party events, in elections in Virginia, New Jersey, and Massachusetts. We have it in spades! Excuse me while I take a moment to acknowledge a milestone, 250 "Followers" for this daily blog. I am truly delighted to have you all along on this merry journey through my perceptions and observations, shared with you. The feedback is a lot of fun, too. Ayla Brown is the daughter of newly-minted Senator Scott Brown of Massachusetts. Does it get any better than this? The speech doesn’t begin until 9 P.M. Eastern, meaning that Easterners can go to bed directly afterward because it will have induced a deep sense of what the French call “ennui”. Most things sound better in French, but for the rest of us, it just means we will have been bored to death. For those on the West Coast, it means the better part of their evening has been ruined. The SOTU tradition is that the Sergeant at Arms announces to the joint session of Congress that the President has arrived. He then proceeds down the aisle pausing to shake the hands of those members of Congress desperate to be seen doing anything other than dialing for dollars. The women generally wear red to be noticed. The men just drool a lot. The President makes it to the podium and hands a ceremonial copy of his speech to the Speaker of the House. Her job is to sit glassy-eyed behind him to the right and leap to her feet, applauding every time he pauses after making some dramatic statement. Unseen by the public is her copy of the speech that actually says, “Jump up here”, every few paragraphs. To the left is the Vice President whose only real job is to preside over the Senate, something he rarely ever does except if his vote is needed to break a tie. John Nance Garner, one of FDR’s Vice Presidents described the job as not worth a bucket of warm spit. The Vice President’s main function is to be an object of ridicule right up to the minute someone shoots the President. He then instantly becomes a statesman. You can be very sure that POTUS did not write SOTU because he maintains what surely must be the greatest stable of speech writers in the history of the office. It has long been obvious that the present holder of the office is incapable to speaking without Tele-Prompters and he was spotted recently addressing an elementary school class using them. He is very skilled at their use, has problems speaking from notes, and apparently is rendered mute if required to carry on an ordinary conversation without careful and intensive preparation. The portion devoted to his “accomplishments” is likely to be mercifully brief as about the only thing he has accomplished has been to render several future generations of Americans slaves of the huge debt he has run up with bailouts, stimulus nonsense, and other means of spending. 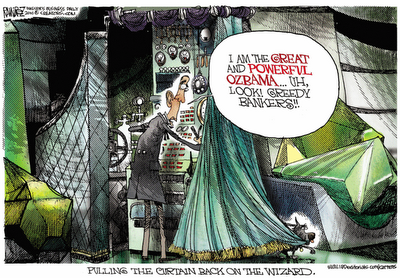 It is doubtful he will make reference to his Nobel Peace Prize insofar as he has done nothing to earn it so far. 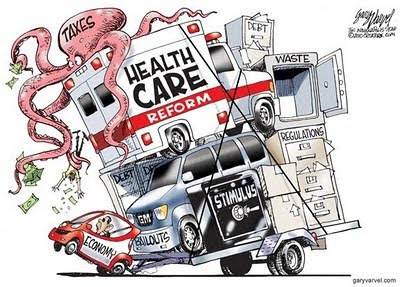 As to his intentions about the future, he may make some passing reference to the reform of healthcare, but that monstrosity has been slain like St. George’s dragon by Scott Brown of Massachusetts, a Republican who will be sitting where Teddy Kennedy, a Democrat, sat for decades. POTUS may also speak of the Cap-and-Trade bill languishing in the Senate where it will be allowed to die quietly for the same reason that Prohibition had to be repealed; it’s a really stupid bill that nobody wants. 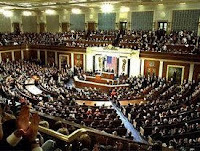 In time, POTUS will reach the end of SOTU, but not before the Democrats in the chamber have leaped to their feet repeatedly to applaud while the Republicans remain seated, glancing at their watches in hopes they won’t miss too much of the Jay Leno Show. Between the beginning and the end of SOTU, the POTUS will strive mightily to appear “relevant” and “engaged” and “focused” and “feisty” and….well, he will try to look like he knows what he’s talking about, but subsequent analysis will reveal he is, as usual, clueless. This being the Land of the Free, you are of course free to ignore the SOTU by the POTUS. There are some interesting documentaries on cable about the sad plight of the gnus who end up as lion dinners, the migration of just about any bird that flies from point A to point B, and several shows on why we are all doomed to be struck by asteroids or some other natural catastrophe. You may, if you watch SOTU, be inclined to conclude that we are doomed because of the POTUS who delivers it. Usually we have to wait around for the historians to pinpoint the exact day on which some politician crashed and burned his reputation beyond repair. My educated guess, however, is that President Obama’s first State of the Union speech will be the day when what little is left of his credibility and reputation goes straight into the toilet. If Ronald Reagan was the Great Communicator, then Barack Hussein Obama will be known as the Great Prevaricator. Obama is so comfortable telling lies that he no longer knows the difference between the truth, a falsehood, a promise, or a casual slander. Take, for example, his recent claim that he would rather be a great one-term President than “a mediocre two-term” one. If George W. Bush wasn’t around to blame for his own incompetence, Obama would have to invent him. Before the demands arrive that I list each and every lie that passed Obama’s lips, let me say that this is a brief commentary, not a ten-volume exegesis of his campaign and first year in office. The State of the Union speech is always hugely boring, listing the many “accomplishments” of the year and then listing the intentions for this one. It is a political act, not a reportorial one. Obama’s intensions cannot be taken at face value. It is said he wants to put a “freeze” on government spending, but the reason usually given to run for Congress is to be able to spend taxpayer’s money on projects “for the folks back home.” The more you spend, the more times you are reelected, until you secure a committee chairmanship and can spend almost at will. The alleged freeze covers nothing of significance. The real spending engines of government, Social Security, Medicare, Medicaid, Homeland Security and Defense will go untouched along with just about everything else other than a Department of Agriculture grant for the study of artichoke pollination. This is particularly true as regards the Federal Reserve, a private bank that isn’t federal in any sense except its name. Congress cannot even audit its books! On the blog site of Theo Spark, there’s a brief, apt description of the way the Federal Reserve and the government “compliment” one another: “I understand that most folks think the Federal Reserve, the central bank of the U.S., is a governmental entity.” The reason people think this is because whoever is President appoints the Chairman with the approval of Congress. Congress is debating the reappointment of Ben Bernanke, an acolyte of Alan Greenspan, the previous Chairman. Both are equally to blame for not putting the brakes on the cheap credit that led, in part, to the lending and borrowing spree that got us to this point. They had a lot of help, though, from Fannie Mae and Freddie Mac. The annual Gross Domestic Product, the amount assigned to the value of all the goods and services sold, is about $14 trillion dollars. Congress has just voted to raise the “debt ceiling” to about $14 trillion dollars. 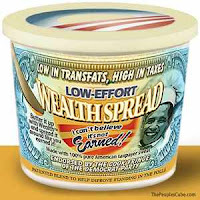 That is why a State of the Union speech promising to “freeze” spending or “cut back” on government waste, is laughable. Spending is what the present-day government exists to do. It is why millions are spent on races for the White House and seats in Congress. It is why some enter the Capitol with modest means and leave as multi-millionaires. The job of the President is to convince Americans and everyone else that the U.S. government is being wisely and prudently run. When people at home and around the world no longer trust Obama’s Tele-Prompter words, the nation will be in big trouble. If Obama was the CEO of a major corporation, the board of directors could get rid of him. We, the stockholders in America, are stuck with him for three more years. 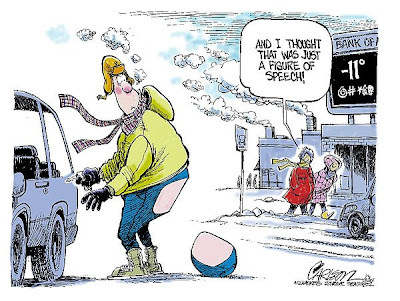 Each one of us has their own “state of the union” so far as the economy is concerned. Much of the workforce receives a paycheck, but many of those jobs have ceased to exist. Other jobs involve contract services. A reported 10% of the workforce is unemployed and the likelihood is that the actual percentage is much higher. Small business, one of the largest components of the economy, is hurting because consumers are cutting back on spending. It is no surprise either that the banking community, under direct attack by the President, is reluctant to stick its neck out. The result is an understandable reluctance to extend credit and loans, and a loss of investor confidence. On Wednesday, the President will give his first State of the Union (SOTU) speech, but if it looks and sounds familiar, it is because it will be the third time in the past year he has addressed a joint session of Congress. That has to be some kind of record, but he has set records for more than 400 speeches in the past year. When the President reads yet another speech written for him by other people, keep in mind that he has surrounded himself with a cabinet and advisors composed primarily of lawyers like himself. Most have no experience in private enterprise. They have not managed a business, nor met a payroll. Less than ten percent of them have experience in the business sector. And these are the people charged with solving the current financial crisis! I do not need to wait until Wednesday to hear President Obama’s State of the Union speech. I already know he cannot be trusted to respond honestly and candidly about any issue. Rep. Joe Wilson (R-SC) gained fame by calling out “You Lie!” in an earlier speech and he was right. He did, however, apologize for the breach of etiquette, but I am pretty sure other Republicans in the chamber will feel the same impulse. A recent issue of U.S News & World Report devoted an entire issue to my generation and those closely gaining on it. It concluded that many either do not want to retire, nor can afford to. I have a cousin, also in his 70s, who’s in his Wall Street office every day. According to the magazine, both of us have a good chance of making it to age 100! Many investments intended to provide a retirement nest egg have been reduced in value, interest on savings is miniscule, and the rising cost of living has left those in their seventies and older often unable to opt out of the work force if they are fortunate to be employed or considering re-employment if a job can be found. We make excellent workers because we come equipped with a good work ethic and attitudes. Meanwhile, a legion of Baby Boomers is beginning to join our ranks, lining up for their Social Security and other benefits. Tampering with Medicare this year, a huge distraction from the task of encouraging job growth, was possibly the dumbest thing the White House and Democrat Congress could have done. There will be a senior citizen payback at the ballot box in November. I have a younger member of my family who, like thousands of Americans these days, owns a home whose value is less than his mortgage. Like all homes, it is a money pit. 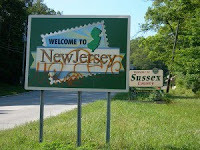 And worse for him, it is in New Jersey, a state with the highest property and other taxes in the nation. At the height of the housing bubble, I sold the home in which I had lived for more than sixty years and moved to a luxury apartment complex. I miss my former home, but it didn’t come with a pool, a fitness center, and a charming concierge staff. Having been born during the Great Depression of the 1930s, I have now lived long enough to be in a new Depression. The irony is that both had their roots in government policies and, in both cases, were prolonged by government hostility to corporations, banks, and other generators of income and growth. The present administration is maniacally opposed to Wall Street. They oppose the engines of energy in America, oil, coal, and natural gas. They waste billions on so-called “renewable” energy or “biofuels”, all of which are incapable of producing sufficient energy for even a moderate-sized city or town. Biofuels just drive up the cost of crops like corn for no sensible reason. Those “shovel-ready” construction projects have not yet materialized while the nation’s infrastructure continues to be neglected. Not one single new nuclear plant or refinery has been built since the 1970s. 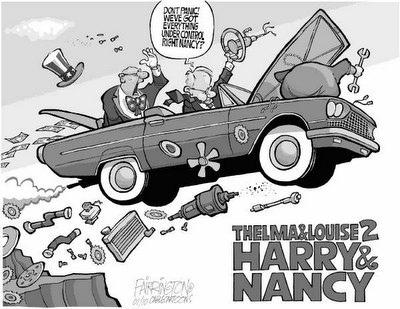 Over the years, the auto industry has been destroyed by increasing congressional interference in the form of mileage mandates, by requirements for ethanol use, and, internally, by the auto unions that demanded and received huge medical and retirement plans that ate profits. Two of the largest American auto manufacturers are essentially owned by the taxpayers due to massive, multi-billion bailouts, and controlled by the unions that destroyed them. So my SOTU is to find a market for my editorial and other skills. I don’t give a rat’s patoot what the President will say Wednesday evening. He’s not the solution. He is the problem. Once, very long ago, I used to be “a stringer” for The New York Times. My articles would appear in the New Jersey section and an occasional short book review would make it into the legendary newspaper. My Father read the The Times more faithfully than an ayatollah reads the Koran or a Hasidim reads the Torah. Little did he know that, during the early years of Stalin’s regime, a Times reporter named Walter Duranty deliberately failed to report the deaths of millions of people in the Ukraine because Soviet communism demanded they obey or die. 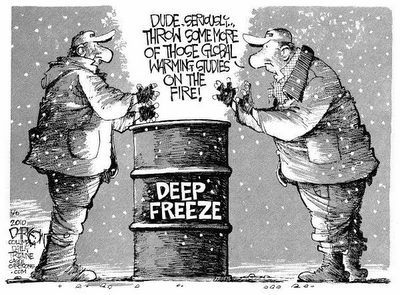 Starting in the 1980s, The Times has led the greatest fraud of the modern era, the global warming hoax. It went through a succession of reporters who turned out articles that all asserted various claims attributed to a dramatic increase in the Earth’s temperature that was not happening. At one point, it published a story that the North Pole was melting. 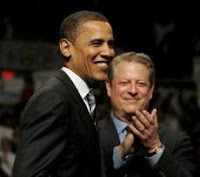 The leading advocate of the global warming fraud has been Al Gore, a former Vice President who has enriched himself selling bogus “carbon credits” and investing in “renewable energy” businesses. His so-called documentary, “An Inconvenient Truth”, was filled with so many inaccuracies that a British court ruled it could not be shown in its schools without informing students of them in advance. We know now, thanks to the “Climategate” revelations, that a handful of scientists, working at the behest of the United Nations Intergovernmental Panel on Climate Change deliberately distorted or invented climate data to further the fraudulent claims. They were associated with the Climate Research Unit of the University of East Anglia in Great Britain, the Pennsylvania State Earth System Science Center, as well as U.S. government agencies such as NASA’s Goddard Institute for Space Studies. Most are currently being investigated for alleged abuses of the positions they held and questionable actions in which they engaged. The release of emails detailing their conspiratorial efforts to advance their false data and suppress any that represented a contrary point of view destroyed what little credibility there was for the recent UN Conference on Climate Change held in Copenhagen. It collapsed like a circus tent. So why, on Sunday, January 24, did The New York Times publish an editorial titled “The Case for a Climate Bill” in an effort to support the insupportable, the Senate’s Cap-and-Trade legislation? The bill is superficially intended to put limits on greenhouse gas emissions, primarily carbon dioxide, that are alleged to be “causing” global warming. It is, in reality, a massive tax on the use of energy, harmful in countless ways to the nation’s economy and a burden on all producers and consumers. Cap-and-Trade has no basis in science because carbon dioxide plays no role whatever in climate change and because the Earth has been in a cooling cycle since 1998; a cycle that legitimate climate scientists predict will last another decade or two. It takes an enormous amount of gall to support this legislation claiming “The long-term trend in greenhouse gas emissions is up (the decade ending in 2009 was the warmest on record. )” No, a decade in the 1930s was the warmest. The last decade saw a constant decrease in temperature, leading to the record-breaking blizzards, expanding glaciers, and other indications that the Earth is cooling. “Finally there’s the question of credibility: Mr. Obama said in Copenhagen that the United States would meet at least the House’s 17 percent target” of reduced CO2 emissions said The Times. President Obama has virtually no credibility left and had to flee the Copenhagen conference in order to avoid being snowed in there and unable to land in Washington, D.C. which was also expecting a snowstorm! This blind and desperate refusal to face the facts, let alone to report them, will ultimately destroy the famed “newspaper of record” and, if that happens, I will not mourn its passing. 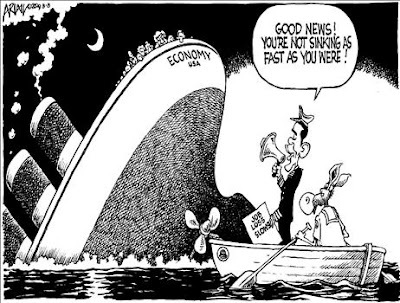 It began as a beautiful cruise to a land of “hope and change”, but it has become a nightmare in which the ship of state is being deliberately steered toward a whirlpool of debt from which, if Obama is successful, the nation cannot escape. One of the primary reasons the U.S. economy has grown over the years has been the confidence in its innovation and productivity. It has generated investment from around the world from those who wanted to profit from our success story. There was a time when U.S. securities were the safest in the world, but that is no longer the case. This is the reason, by virtue of the Massachusetts special election; the United States has dodged the bullet of a “reformed” healthcare system which would have slashed a half trillion dollars from Medicare coffers while adding millions more people to its rolls. It would have turned the health insurance industry into a public utility. They would have ceased to be private enterprises of competing companies. It would have driven physicians out of practice. It would have bankrupted the nation and reduced a widely acknowledged excellent health system to that of a third world nation. The proposed “Cap-and-Trade” bill, a huge tax on all energy use—the lifeblood of any economy, must be defeated. This will come most likely from a lack of votes as Senate Democrats are finally scared enough of the electorate to act with some degree of rationality. In other words, the U.S. government is committed through various “entitlement” programs like Social Security, Medicare and Medicaid, along with other expenditures, to spend more than it takes in via taxes. The other major expense is for defense. These three factors represent half of the annual U.S. budget. The bill has finally come due for decades of socialism that began in the 1930s. At present rates, the public debt of the United States will reach 85 percent of GDP by 2018, just eight years from now, and 100 percent by 2022. It would be 200 percent by 2038 unless some brakes on spending are not applied before the ship of state gets sucked down beneath an ocean of debt. What does President Obama propose? He wants to apply an unconstitutional special tax on banks! And not all banks, but just those banks on “Wall Street” whom he blames for the current recession. His most recent proposal to regulate the banking system drove down the Dow Jones Average signaling further fears of his intention to micro-manage the economy. It is a recipe for disaster and shares of the big Wall Street banks in particular fell. He is deliberately attacking the great engine of the nation’s economy. Wall Street is not the problem. The government is the problem. Obama made no mention of the real culprits for the housing market meltdown, the reckless spending of Fannie Mae, Freddie Mac, and the Community Reinvestment Act that underwrote a program that put $12 trillion of mortgage loans, half of all such loans, in the hands of the federal government! The billions still unspent in the so-called “Stimulus” bill should be returned to the Treasury. Plans to expand Medicare and Medicaid need to be scrapped. Taxes on greenhouse gas emissions, mostly carbon dioxide, must be avoided if for no other reason that CO2 has nothing to do with a non-existent global warming. The capacity of the United States to recover calls for an end or at least a cap on the mindless spending of taxpayer millions on the pet projects and crony deals of Representatives and Senators. It calls for an end to the restrictions on the exploration for and extraction of the nation’s vast coal, oil and natural gas reserves, including in ANWR and aggressively in the offshore continental shelf. It calls for an end to huge multi-million dollar subsidies for “renewable energy” schemes such as solar and wind power. It calls for an end to the ethanol mandates that dilute the mileage of every gallon of gasoline and actually increase CO2 emissions! It calls for an end to congressional mandates on the auto industry that have, in part, driven two of its largest manufacturers, General Motors and Chrysler, into bankruptcy. The U.S. must divest its ownership in both companies. It calls for reining in the rogue government agency, the Environment Protection Agency that is attempting to unilaterally impose control of CO2 emissions and has long engaged in practices that impede economic growth for business, industry, and the nation’s agricultural sector. There are many reasonable and rational steps that can and should be taken, but it seems clear that the President, with the support of a Democrat controlled Congress, has no intention of taking any of these steps and, indeed, is intent on bankrupting the U.S. government and its people. For the past two years, it has been obvious to a lot of conservatives and independents that we have a President whose elevator doesn’t go to the top floor. This is a seriously flawed person. Anyone in law enforcement will tell you that there are few people, including serial killers, who “look” like criminals and a danger to society. This is not to say that profiling isn’t a helpful tool, but that there is no Hollywood generic “bad guy” image in real life. About the only people that deliberately try to assume that image are professional wrestlers who play the villains in the ring. Homicide detectives will tell you that, time and again, the murderers they capture, interrogate, and who end up confessing often break down in tears and some even ask if they can see their momma before being taken off to jail. Only occasionally do they encounter a seriously bad person who insanely kills to satisfy some demonic itch. Now, I am NOT saying the President of the United States is criminally insane, but I am saying that he is so seriously immersed in a communist ideology that everything he says and does is intended to get him just that much closer to destroying the nation. He has been assisted in this goal by Nancy “crazy eyes” Pelosi, a San Francisco liberal who has demanded and received a 757 jet airliner with which to travel back and forth from her home every week. He has been assisted by Sen. Harry Reid who lacks even the most minimal support in his home state of Nevada and appears to be devoid of any moral compass. It is clear to most reasonable people that Obama and the Democrat Congress has been driving up the debt of the nation to unconscionable levels and, while the thought of an America forced to default on his financial obligations seems unthinkable, it is not. The Democrats are proposing a $1.9 trillion increase in the debt limit, having raised the debt ceiling to $12.4 trillion the day before Christmas 2009. His father, a Kenyan, had divorced his mother and abandoned him. His Indonesian step-father would later divorce his mother and she, in turn, would abandon him to the care of his white grandparents who, despite sacrificing to send him to a private school nonetheless regarded Davis, a black, Communist radical, as a close family friend. I am not a psychologist, but I am a student of history and virtually every dictator has written openly of the obsessions that drove them to seek power. “Mein Kampf” by Hitler comes to mind and Mao’s “Little Red Book” comes to mind. Liberals have always embraced these people and one sees it today in the way many prominent actors and others have made their way to Castro’s Cuba or Venezuela’s Hugo Chavez, to bask in the light of these horrid people. Former President Jimmy Carter has embraced terrorists such as Hamas and has displayed an obvious anti-Semitism. Many US communists were appalled to discover that Stalin was a mass murderer in the wake of Nikita Krushchev’s revelations about the man. We need to pay attention, not just to the politics of our nation’s leaders, but to their pathologies as well. After being forced to resign, those closest to former President Richard Nixon revealed that he was subject to a paranoia that may have served him well in dealing with America’s enemies, but which ultimately led to the Watergate scandal. Now it is the turn for Democrats who were so enamored of Obama to begin to observe the obvious. It is the turn of the mainstream media to raise the warnings that have been so obvious to those who have written and spoken of Obama’s serious flaws of personality and policy. The nation faces three more years of Obama’s term in office and they will represent the most serious threat the nation has ever faced in its long history. It’s all George W. Bush’s fault. In the event that the White House has not made it perfectly clear: It’s all George W. Bush’s fault. If, however, you have grown tired of hearing this excuse, er, reason, then you have between now and November to find a candidate of your choice to REPLACE every incumbent Representative and Senator in Congress who has ever uttered this lame excuse for the failure of Obama’s policies. 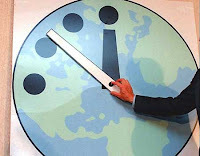 Largely unnoticed was the January 14 announcement by the Bulletin of Atomic Scientists that they had moved the hands of their imaginary Doomsday Clock back to six minutes from five minutes before the end of the world. Whoopee. The decisions about the Clock are made by the Bulletin’s Board of Directors in consultation with its Board of Sponsors, eighteen of whom are Nobel Prize Laureates. Considering the way elements of the Nobel Prize, particular its Peace Prize, have been totally politicized and degraded with awards to Al Gore, the UN Intergovernmental Panel on Climate Change, and most recently to Barack Obama, this latter citation is not encouraging. Even less encouraging is the utter blindness of the decision in the face of Iran’s long quest to create nuclear weapons with which to threaten the entire Middle East, Israel in particular, Europe via long-range missiles, and America with a nuclear device. It just doesn’t get more stupid than that, given the recent UN Climate Conference in Copenhagen that thankfully achieved a big fat nothing and occurred during a blizzard that forced the President and other American delegates to flee before being snowed in or unable to land in the U.S., far across the Atlantic where yet another blizzard was in progress. Coinciding with the Climate Conference was the revelation that the IPCC’s data was largely falsified by the handful of scientists in control of its reports of global warming doom and gloom. It was and is a Big Fat Lie. So, the nuclear threat, a real one, and the global warming/climate change threat, an invented one, were addressed with the unalloyed optimism of the Bulletin scientists. They literally managed to ignore all the actual facts regarding both. Perhaps most astonishing about the January 14 announcement was the “man crush” the Bulletin’s directors have on Barack Obama. “A key to the new era of cooperation is a change in the U.S. government’s orientation toward international affairs brought about in part by the election of Obama.” The elections of Republican governors in Virginia and New Jersey, in addition to Tuesday’s election of a new, Republican Senator to represent Massachusetts suggests that even the voters of that most liberal State are not nearly as impressed with Obama. The plunging national approval ratings of the President’s performance further confirm this. Among the comments included in the Bulletin’s announcement were those like Stephen Schneider who said “We can no longer prevent global warming…it is upon us.” No, it’s not. The planet is in a natural cooling cycle that began in 1998. Where Schneider has been since then is anyone’s guess. Perhaps on some other planet! Others like Pervez Hoodboy of the physics department at a Pakistan university said, “We may be at a turning point, where major powers realize that nuclear weapons are useless for war-fighting or even for deterrence.” Tell that the Supreme Ayatollah of Iran. What the Bulletin reveals is the way a PhD in a specific and narrow field of endeavor does not qualify a scientist to comment on anything other than his own sliver of expertise and, even then, you better get a second opinion. Wishful thinking, sloppy indifference to obvious facts and events, and the conviction that their advanced degrees allow them to pontificate on the end of the world is the hallmark of the Bulletin’s Doomsday Clock. “We don’t want your odious Medicare 'reform'. We don’t want to be forced to buy insurance. We don’t want a bill that exists only because every sweetheart deal and other form of bribery was used to get it to this point in the Senate.” And, ignored by the media, it was no to amnesty for illegal aliens as well, another issue of Scott Brown's race. The significance of the Massachusetts victory for Scott Brown is the repudiation of Barack Hussein Obama, his policies, and his performance in office. It wasn’t the first time the voters sent the White House this message. They told him to buzz off in Virginia and they told him to get lost in New Jersey. This is a tangible voter backlash against profligate spending and excessive taxation. Come November, the voters, Democrats, Republicans, and independents will come together to clean house in Washington, D.C. It takes no great punditry to see that coming. If the midterms were held tomorrow, the result would be the same. 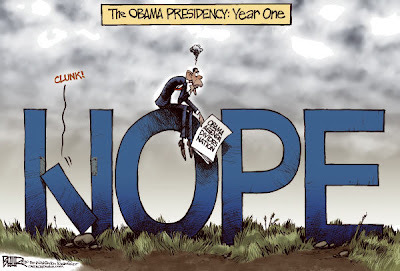 It is almost beyond comprehension how Obama could have engineered a failed presidency within the space of just one year. He got a lot of help from Speaker Nancy Pelosi, as mendacious and imperious an individual to have ever held that office. He got a lot of help from Majority Leader Harry Reid, a scowling, malicious cockroach whom the voters of Nevada will remove in November. 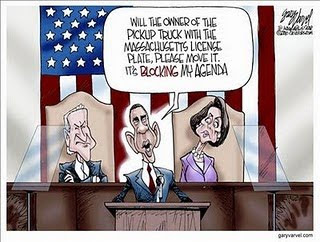 Obama’s narcissism and arrogance will blind him to the message of the Massachusetts victory. He and his press secretary, Robert “Glib” Gibbs, will put out a statement that will dismiss the historic event as just an aberration, but the aberration is Obama! So, stand up and take a bow, Massachusetts! birthplace of Benjamin Franklin, John Adams, Sam Adams, Elbridge Gerry, Josiah Bartlett, Roger Sherman, and John Hancock, signers of the Declaration of Independence! Those first Americans led the resistance to the greatest power of their day, Great Britain, and its king. For all the years Obama taught the U.S. Constitution at the University of Chicago Law School, he either never really understood it or never believed it means what it says. He never understood that real Americans will not be pushed around, cheated of their Constitutional birthright, or be lied to. A former emperor, Napoleon of France, spent his last days as an exile on St. Helena. 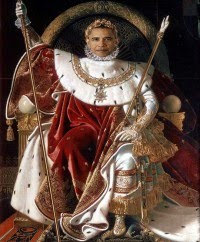 It would not surprise me if Emperor Obama spends his on one of Hawaii’s islands. After the assassination of John F. Kennedy one of the books about his brief administration was “A Thousand Days” by Arthur M. Schlesinger, Jr. Even so, he had set America on a trip to the Moon, helped advance the Civil Rights movement, and, with Jackie Kennedy, brought a brief era of grace and sophistication to the White House. 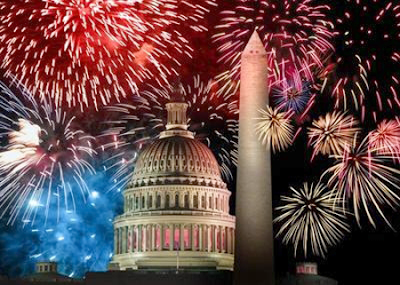 January 20 will mark a year since Barack Obama took the oath of office. As this is written, the entire nation awaits the outcome of the special election in Massachusetts and many want to see an end to the Democrat control of the Senate. There are any number of ironies, not the least of which that it was Massachusetts that gave us JFK and his bloated little brother, Teddy. It is hard to recall a more brutally partisan administration and Congress. 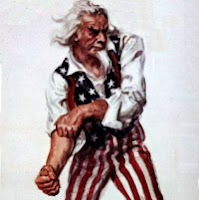 Bribery and thuggish uncivil behavior has become the hallmark of the Democrat controlled political process; weakness and appeasement the nation’s foreign policy. “Yes, we can” has transitioned into a public panic regarding the massive expenditures, the billions spent to take over the auto industry, banks, insurance companies, and an insulting “stimulus” bill devoted more to “green jobs” than real jobs. The final injury as the first year comes to a close would be the passage in the Senate of a widely hated Medicare “reform” that reeked of unconstitutional elements and which will surely be challenged in the courts. It is astounding that a single Senate vote could end the reign of terror that characterizes Obama’s first year. The answer Barack Obama gave over and over again was that it was all the fault of George W. Bush. By summer, that excuse had lost its power to influence all but Obama’s most stupid supporters. Obama’s “first thousand days” will prove critical to the future of the nation. Profligate debt and possible default haunts most of the States and the nation as a whole. Moody’s Investor Services has warned that the nation is barely three years or less away from losing its prized triple-A rating for its securities. China has warned that America cannot assume it will continue to purchase its debt. On Christmas Day, al Qaeda reminded Americans that all are considered targets in its terror war on the nation and the West. If they wanted to scare us, they succeeded. Perhaps they were encouraged by a President who took three months to make up his mind whether to continue to wage war on them in Afghanistan and three days before he made a public response to the Christmas attack. After the Fort Hood assault, it was former President Bush who quietly visited the wounded, not President Obama, though he did stage an earlier photo opportunity of his greeting the returning war dead from Afghanistan. There is no question that, in the first year- of Obama’s first—and likely his last-—term in office, Iran will achieve its goal of becoming a nuclear power with the ability to put warheads on top of missiles capable of hitting anywhere in the Middle East and as far away as Europe. Diplomacy has failed. Only one option remains. At this writing, very nearly half of the voters express disapproval for Obama’s conduct of the nation’s affairs and they will focus on November’s midterm elections in an effort to politically neuter his administration with a transfer of congressional power to the Republican Party. If the off-year election of Republican Governors in New Jersey and Virginia was an indicator, the steady stream of announcements by Democrat legislators that they intend to retire or change party affiliation suggests that the writing is clearly on the wall. The leading indicator, however, remains the unemployment rate, officially at ten percent, but widely considered to be closer to fifteen percent and higher. The President’s State of the Union speech on January 27 will be parsed and examined like a doctoral dissertation on economics, a subject Obama seems to understand only in terms of Marxist orthodoxy. Worse for him will be the increasingly widespread view that he lies virtually all the time. He lacks credibility with everyone except the slavish drones of the mainstream media and brain-dead supporters. Well before the end of his first thousand days, Obama has joined former President Carter among the pantheon of Presidents forever known for their failures. My life straddles the days of Jim Crow segregationist laws and the years following the Civil Rights movement, so I can recall buses in which Blacks did, indeed, sit in the back, separate drinking fountains and separate just about everything else. I spent enough time in the South to see racism at work and I watched enough of the civil rights marches to see it crumble from its own lack of moral justification. That, perhaps, is why Dr. Martin Luther King is honored now with a federal holiday. That is why those of us who heard him speak recall, if not the words, at least the great moral passion he brought to his audience; a passion for justice and equality that went beyond mere legalisms. I heard Dr. King speak at Drew University in Chatham, New Jersey in those heady days and then I went backstage and met him. It was a brief encounter and to this day I find it astonishing that I shook hands with someone who has become an American icon; someone whose name and cause is forever embedded in the fabric of our history. There is no doubt that Barack Obama would not be President today if Dr. King had not put his life on the line in the 1960s. Dr. King was an inspired orator. I doubt that Dr. King had a speechwriter and I doubt he needed one. This was a man that one felt had been touched by God, called to a greater duty, greater service, and the ultimate sacrifice. That may sound hokey to those who discount the role of serious, committed belief in a greater power, but it was unmistakable in terms of the way this minister and son of a minister from Montgomery, Alabama led a boycott of the city’s bus system in protest of its demeaning “back of the bus” rules, and then expanded the cause to the nation. It was the boycott that got the whole civil rights movement going. It was followed by “sit-ins” at restaurants, marches, and all manner of demonstrations, culminating with the August 28, 1963, Washington, D.C. event in which Dr. King delivered his famed “I Have a Dream” speech. I suspect no one else could have so stirred a nation as he did and surely none of the other speeches given that day are remembered. It was a call to what Abraham Lincoln deemed the “better angels of their nature”; our capacity to live up to America’s best values. The civil rights movement also included some very ugly riots in the ghettos of some American cities and, nearly fifty years passed Dr. King’s speech, too many blacks continue to lag behind the rest of society. The civil rights spokesmen that followed in Dr. King’s footsteps have largely been a disappointment, race hustlers, and others who rode the movement to positions of political power. This is to be expected because there was only one Martin Luther King, Jr., martyred for his steady faith in the goodness that could be evoked in the hearts of both black and white citizens. It is important to remember that Dr. King was not calling for special privileges and dispensations based on race. He was demanding equality before the law and an end to the codified racism of exclusionary laws. 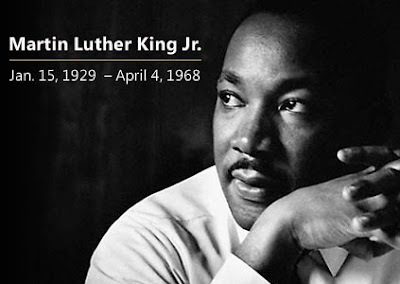 America is a better place because Dr. Martin Luther King, Jr. lived. A bit of opera for your Sunday pleasure. Watch what happens when opera singers posing as merchants in Valencia, Spain's market center begin to sing a scene from La Travatore! I have a friend who lives with his blind Malamute dog, Boris, in a cabin deep in the Missouri woods. He is as self-sufficient as one can be, but he is not one of those survivalists who are waiting for the Homeland Security to show up. He has to go into town to get dog food and pipe tobacco, although he has been brewing his own hard cider of late. It’s his latest hobby. He is hardly cut off from the world and that seems to be his main complaint because he is of the opinion that it is largely populated by stupid people and, frankly, it is hard to disagree. As a result, we are both richly rewarded with evidence on a daily basis. For example, it is abundantly clear (except to stupid people) that a majority of voters in 2008 elected a fool to be President of the United States of America and the presumed “leader of the free world.” Do not ask the presidents of France or Russia, or the Prime Minister of England for their opinions of him. For that matter, don’t ask former President Bill Clinton, who’s still waiting for his cup of coffee. One of Obama’s first official acts was to dispatch Air Force One to do a low fly-by of New York City for a photo. For some reason, that scared the hell out of New Yorkers. It is hard enough to get through life when most people around you have concluded that you are a dunce, but when it is America being judged as stupid, led by stupid people, and populated by too many stupid people, it is hard to get other nations to cooperate. My own email and comments on my blog suggest that there are still plenty of very smart people in America and I think the Tea Party movement is evidence of that because these folks are looking for a home that is neither Democrat, nor Republican, but just sensible and a place where someone has actually read the U.S. Constitution. As we close in on the anniversary of President Obama’s inauguration (remember the nearly two million folks that showed up in the freezing cold, thrilled to be a part of the hopey-changey thing? ), but even by the kindest standards of judgment, it is clear that he is utterly clueless in an over-educated way that reeks of condescension. You get the feeling that he has Tele-Prompters at the breakfast and dinner table in order to provide him with small talk. Without them, listeners begin to wonder if, at some point, he suffered some form of brain damage. Worse, the next in succession is a Vice President who recently held a closed-door meeting on “transparency” in government. Behind him wait the Wicked Witch of San Francisco, Nancy Pelosi, who burns through $60,000 of jet fuel each way to and from the capital every week. Next in line is the Nevada troll, Harry Reid. You have to be spectacularly stupid to blow billions of taxpayer dollars “bailing out” General Motors and Chrysler when the ordinary bankruptcy process would have spared us the insanity of owning a failed auto company. Capitalism rewards success and scorns failure, but those in power these days think capitalism is a bad thing. Given the pathetic performance of other government-owned entities such as Fannie Mae and Freddy Mac and the fact that they have been exempted from the “financial responsibility” taxes Obama wants to impose on banks, it comes as no surprise that their executives collected multi-million dollar bonuses at the same time some government official was railing against similar bonuses for Wall Street bankers and investment executives. In the midst of the worst financial crisis this nation has faced since the 1930s, how stupid do you have to be to try to “reform” Medicare in ways that slash billions from it while adding more people to its rolls? By what stretch of the imagination does Congress think it has the power to require people to buy insurance they do not want? And, it turns out, exclusively from the government. What ever happened to the free marketplace where competition determined prices? There’s a reason insurance companies run all those TV commercials. Didn’t anyone in Congress or the White House ever take Economics 101? The Founding Fathers said over and over again that the only way a republic such as ours can survive is if it is led by men (and now women) of “virtue”, by which they meant people that weren’t in public service to plunder the treasury. They knew those elected to public office would not all be angels, so they put together a legislative process that slows the passage of laws to a crawl. All manner of impediments exist and we should be very happy that they do. I grew up in an era before television when newspapers, radio, and the Movietone News were the main sources. This may seem odd to today’s generation, but during World War Two the media did not compete with one another to be the first to tell the Nazis when and where D-Day would occur or which island in the Pacific would be invaded next. This is a far cry from Walter Cronkite telling Americans that our troops lost the Tet Offensive in Vietnam when we had actually killed thousands of the enemy, rendering them a terrific blow. That was the first war of the modern era which the media wanted the U.S. to lose. It has since been followed by both the Iraq and Afghanistan conflicts. Well before 9/11 America was locked into a war with al Qaeda even if no one in the White House wanted to give it much thought. By treating the 1993 bombing of the Twin Towers as a criminal act, the U.S. set in motion its final destruction. Now we have a government that wants to extend the protection of the U.S. Constitution to captured terrorists and try them in the heart of New York City. Do not tell me that is not stupid! Just what do you do with an overweight, slovenly, Muslim U.S. Army Major who was also engaged in a lively exchange of emails with a jihadist mullah in Yemen? You give him his discharge papers. When you don’t, you end up with thirteen dead soldiers while he stands around yelling “Allahu Akbar!” Today’s military is so politically correct the rules of engagement on the battlefield include offering candy and soft drinks to the enemy before actually shooting at them. Putting an idiot like Janet Napolitano in charge of Homeland Security aptly fits the description of stupid, but a close look at the monkey cage of loonies attached to the Oval Office reveals more social misfits than you could find in a Beverly Hills rehabilitation center. 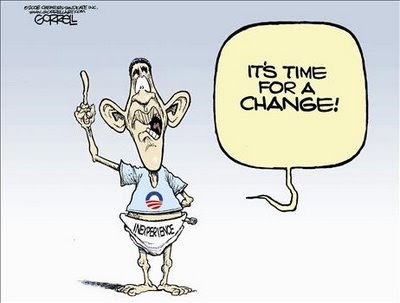 We are stuck with Obama and his merry band of morons until 2012, but we can begin to clean house in Congress in November 2010 thanks to the midterm elections. It’s up to the people with common sense and good judgment to take charge of this nation through participation in all manner of civic and political organizations, through a constant deluge of Congress to stop Obamacare, immigration “reform” (how I hate that word! ), and the strangling of the free market economy that has enriched those willing to actually hold a job and lucky enough to have one.